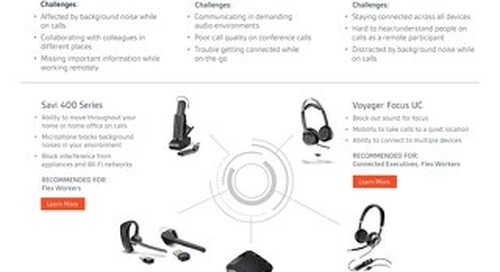 Incorporating audio devices into your UC deployment isn’t easy. One size doesn’t fit all. Matching the right audio device to the right employee work style is important to user satisfaction and increasing productivity. 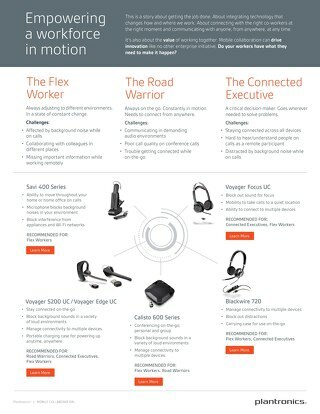 The Plantronics Get Ahead program gives you a no-risk opportunity to find the right products for your team…on us. You can choose up to five complimentary products to try in your own UC environment. And when you find the products that are right for you, the deal gets even better—order 100 of the offered products and we’ll add in 10 extra products.